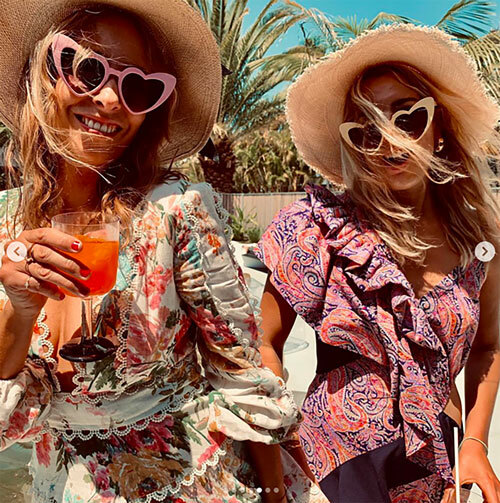 My summer warm-up officially kicked off with a deep dive into Shopbop's sale of the season, chock full of everything I want to wear from pretty poolside dresses to head-turning swimsuits. (Take 20% off orders under $500; 25% off orders of $500 or more with this code.) My 80-degree and sunny selects include the fetching floral Zimmermann dress, above, this splash-making Palmacea ruffled bikini, this gorgeous Melissa Obadash lace cover-up, these outfit-making Loeffler Randall mules, and this bow-trimmed La Vie Rebecca Taylor top. Shop the whole shebang here!